This PowerPoint presentation was developed from a Cancer Australia document and was translated and interpreted into Vietnamese. 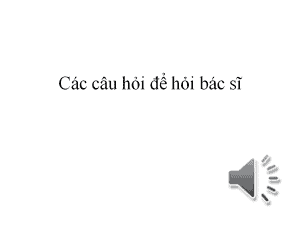 It also includes a recording of a Vietnamese interpreter reading out the information in Vietnamese. It was created as part of a project funded by Cancer Australia. Please note: to play this file you will need Microsoft PowerPoint 2010, or similar program, and a computer with speakers.